The data workbench user guide does inform you about the fact that only key users or someone with administrator authorization can import data for individual objects into SAP Hybris Cloud for Customer. 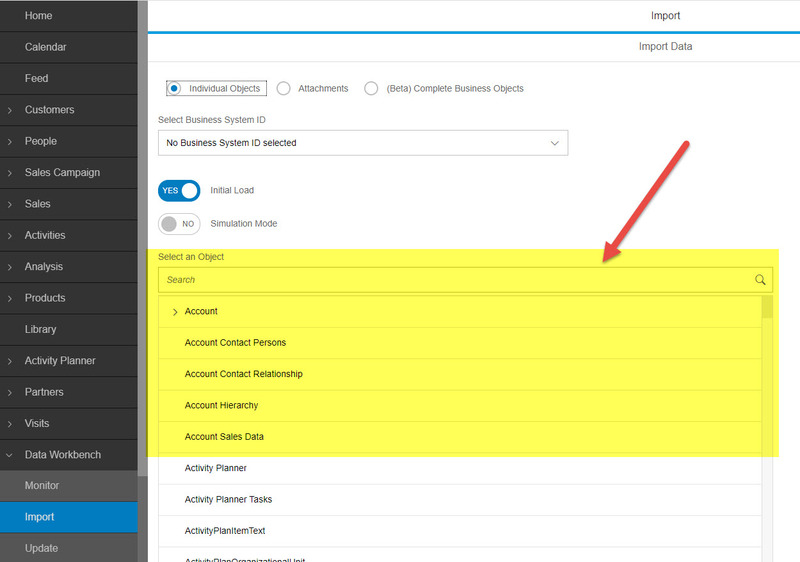 So if you assign the data workbench work center with all views to a business user / business role the user has access to the Import section in the navigation bar. Unfortunalety the user is not able to select objects in the list because the section is just not displayed. 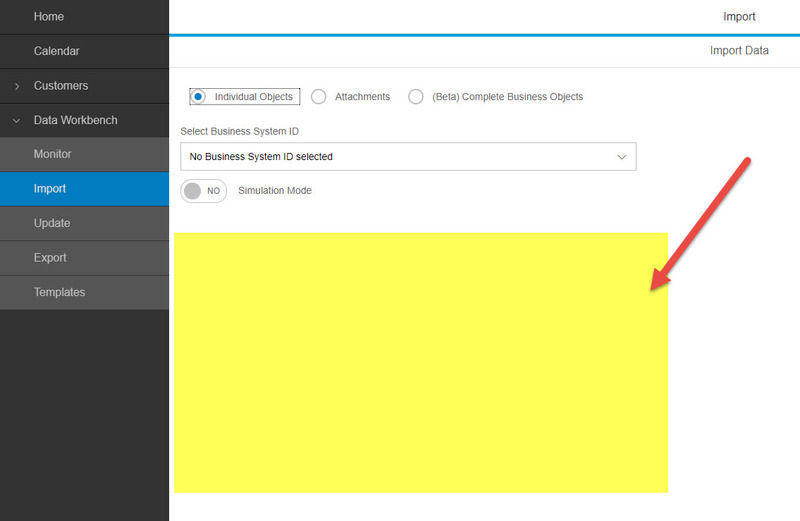 In order to display the section “Select an Object” it is neccessary to assign the busienss user / business role the work center view ID “ITS_KEYUSERCHANGELOG“. This indicates the user as a key user. Aftwards the section is displayed. Maybe that helps someone else who has the same issue.